From humble beginnings, Hornady has grown to become a world innovator and top producer of high-performance ammunition. The company was founded in 1949 as a simple two-man operation in Grand Island, Nebraska. 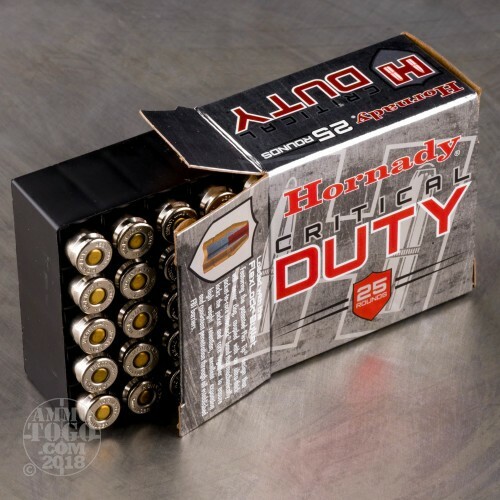 Well-known and respected in the shooting world, Hornady’s Critical Duty line provides superior terminal performance and unparalleled consistency through all FBI test barriers. 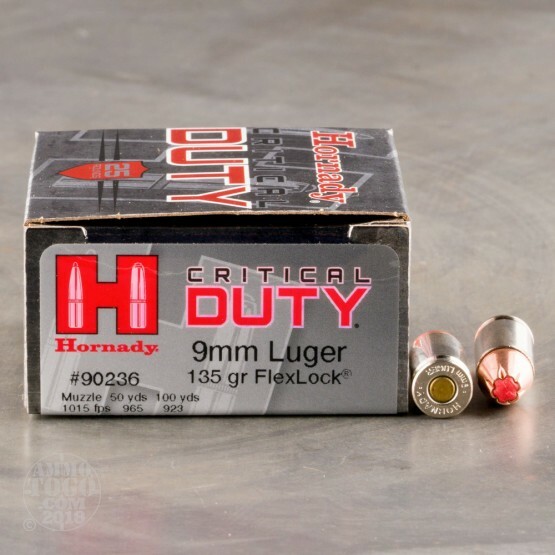 Perfect for personal protection whether on duty or off, these 9mm Luger (9x19 Parabellum) rounds feature Hornady’s patented FlexLock bullets. The FlexLock design incorporates a special polymer Flex Tip designed to prevent clogging of the hollow point and initiate terminal expansion. These rounds also feature a unique Interlock band to prevent jacket-core separation. The result is near 100 percent weight retention and superior terminal performance through tough urban barriers. 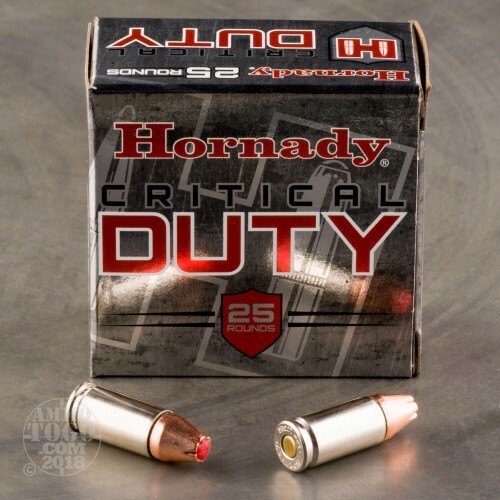 This package contains 250 rounds of Hornady Critical Duty ammunition. Each round produces a muzzle velocity of 1010 feet per second and a muzzle energy of 306 foot pounds. Each factory fresh cartridge is loaded with a 135 grain FlexLock hollow point and low flash propellants to help preserve precious night vision. 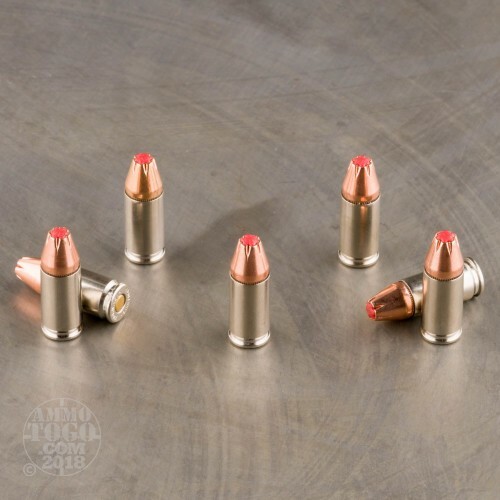 This ammunition features high-quality nickel-plated brass cases designed to resist corrosion, enhance low-light chamber checks, and deliver smooth feeding and extraction.